If you want your grass to grow in healthy and bright, you have to fertilize it properly! Check out our landscaping tips. It is officially March. Do you know what that means? Spring will officially be here before you know it! The First Day of Spring is on March 20. Before you start jumping for joy at the thought of warm weather and flourishing plants, do you know if your landscape is prepared for the changing season? 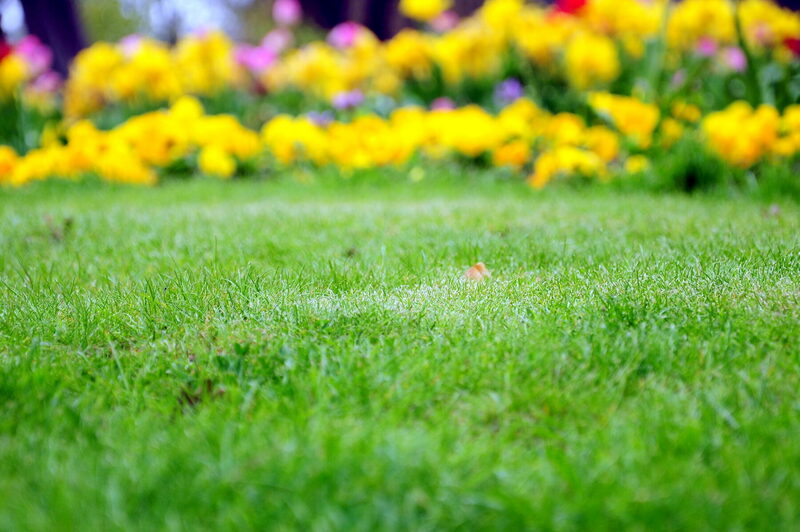 Atlantic Maintenance Group is here to fill you in on how to prepare your landscape for spring. Pruning is the process of removing dead, infected or overgrown branches or stems from your trees or shrubs. Pruning is an essential part of preparing your landscape for the spring season, since it aids in the further growth and health of your trees. If you want the best results, prune your trees and shrubs right before spring hits (so, now) or early in the season. Edging is the process of creating a precise, defined edge between different areas within your garden or landscape. You can create these edges using various materials, including bricks, stone, or lawn and garden dividers. Edging gives your landscape immense visual appeal while functioning to prevent your grass from overgrowing into your flower beds and mulched areas. When you fertilize your grass in preparation for the spring, you are giving it the nutrients it needs to grow in strong and healthy. It is ideal to fertilize shortly before or after a light rain, but without rain you should water your grass after fertilization. Wait two days (for the water to be fully absorbed) then fertilize and water again. If you want flowers to bloom or food in your garden to grow, you have to plant the seeds! Okay, we take that back – you can always hire us to do it for you instead. Spring is the perfect time to plant beautiful flowers, perennials, and types of vegetables (like lettuce). This entry was posted on Friday, March 4th, 2016	at 6:22 pm	and is filed under Blog, Lawn Tips	. You can follow any responses to this entry through the RSS 2.0	feed. Both comments and pings are currently closed.